Summer is wedding season and the sales frolic like newlyweds in a field of poppies, but many sellers feel left at the altar by the time fall rolls around. If your sales eloped with another shop this year, it may be time to rethink your wedding strategy. Targeting summer wedding sales makes good business sense – you don’t want to be left without a piece of the cake. 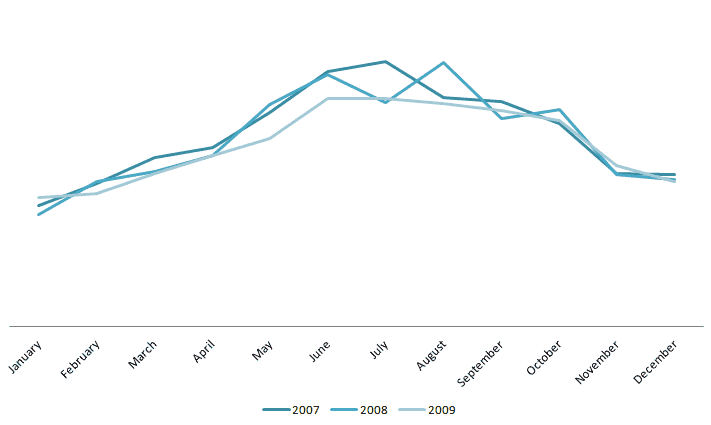 Number of weddings by month in the U.S. I didn’t make that last one up! It shows that no matter how unrelated your items may seem to weddings, there might be someone out there searching for it. Make sure to go over my relevancy search tips again to incorporate tags and phrases in the best way possible. Tags aren’t the only angle that helps your wedding chutzpah – many modern weddings have a specific color theme. Etsy Colors offers buyers a way to search for items based on color. Etsy analyzes the first photo on each item and picks out the most prominent, saturated color to search on – yet another reason to improve your photos. Make sure the background for your item is blank or unsaturated, and use natural light to get the most pop out of the primary color in your items. Color options for your items are a great way to get noticed by shoppers with a specific color bent. 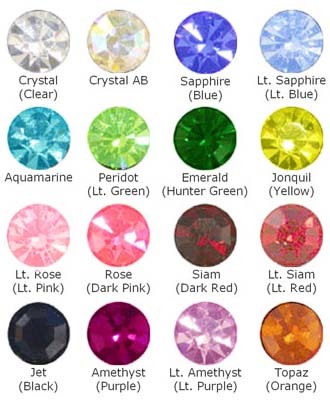 Point out what colors are available clearly on items that can be customized. 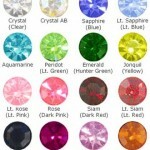 Put a color chart as the last image in your item listing so that shoppers can clearly see the available shades. Be sure to mention in the description if you’re able to make custom versions of an item based on a particular theme. Personalization is another sought-after feature for wedding items. The only thing more unique than a one of a kind, handmade gift is one that’s also personalized for the couple. Anything that can be engraved, written on, branded or otherwise marked can be offered with an option for names, dates, or a special message. 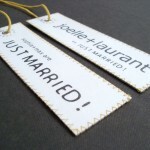 Take a look at the C’est Superbe Honeymoon Luggage Tags for an example of well-targeted, personalized wedding items. A great way to add to you store’s inventory without developing a new product is to offer sets. If you make make-up bags, set up a listing that says “Makeup Bag Gifts for your Bridesmaids (set of 6)”. Thinking of new ways to combine and market your items to wedding shoppers is a keen strategy. Wedding planners often need LOTS of an item as well, especially for items that can be used as table cards or centerpieces at a reception. I’ve been contacted before about producing enough napkin rings for an entire guest list. Make sure that you don’t have any bottlenecks for mass production, such as items that craft stores stock one at a time, and state in your descriptions that you can make quantities of an item for custom orders. Once your items are wedding-ified and ready to go, the last step to capitalize on wedding sales is to promote your items effectively. 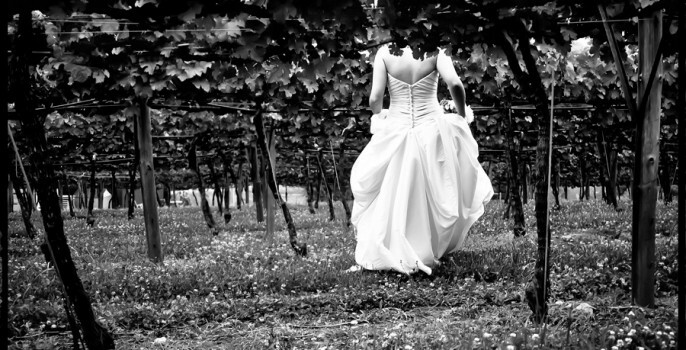 Seek out wedding-related web pages for advertising spots and contact well-known wedding vendors to offer cross-promotion. To keep on top of your wedding game, consider joining a wedding team on Etsy – such as Wedding Stuff or Etsy Wedding Fair. If you hurry, you might be able to catch up with customers browsing for fall wedding items (hint: “fall wedding” is a great tag if your items fit the bill). Spring weddings are just around the corner, too. What items in your shop would make great wedding gifts? Cover image by Ally Mauro on Flickr.